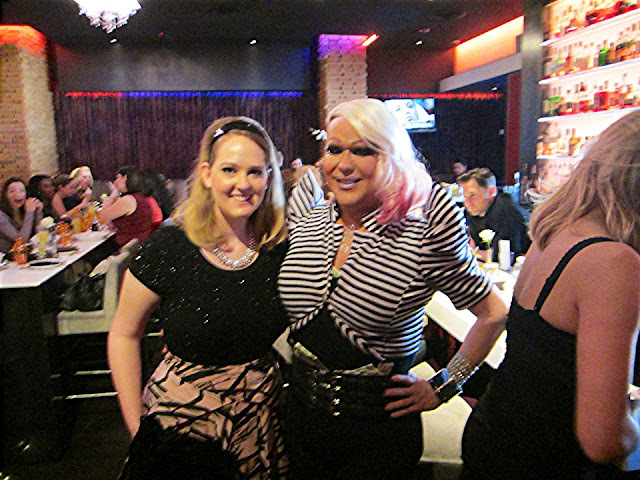 Drag Brunch at Dish was the place to be this past Sunday. My friend, Stevie Bays, invited me to join her. Of course, this wasn't my first drag queen encounter. I went to Drag Brunch in April 2012, met Sharon Needles in October 2012, and am a Rupaul's Drag Race super-fan. My favorite funny queen Jenni P was the comedy relief between the amazing performers Candis Cayne and Krystal Summers who are both awesome dancers. 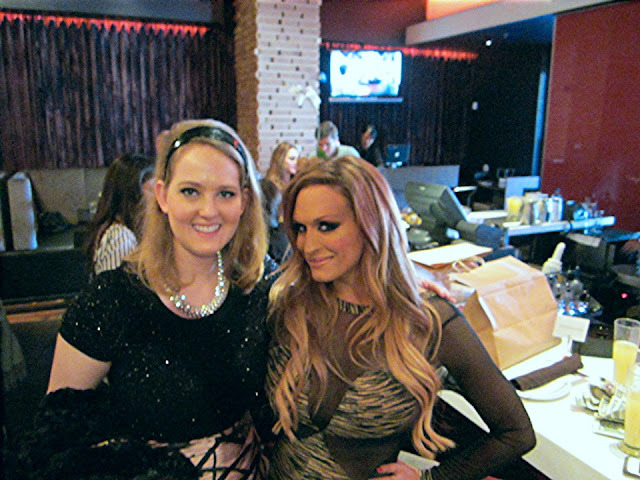 I was so excited to see Candis and Jenni P again, and loved meeting the sweet Krystal Summers. I was thrilled to get to see these funny fabulous queens once again. I had such a good time!